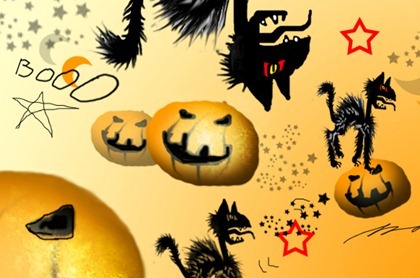 Halloween Cat's Brush | Brushes | All Free Web Resources for Designer - Web Design Hot! The ABR file extension is a graphic file format created by Adobe Photoshop. ABR files contain graphic data that can be modified using appropriate photo editing software.ABR files contain brushes that can be used in the Adobe Photoshop program. The .ABR files can contain data related to the texture, shape and dynamics used for different styles of brushes within the program. This entry was posted on Wednesday, October 21st, 2009 at 12:52 am and is filed under Brushes . You can follow any responses to this entry through the RSS 2.0 feed. You can leave a response, or trackback from your own site.